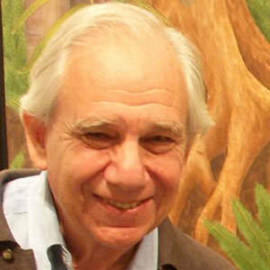 Richard Lewis founded The Touchstone Center in 1969. He has been the director of the Center since then, initiating and implementing its various programs. He has edited and written a number of books highlighting the poetic and mythic traditions from diverse cultures, among them Miracles: Poems by Children of the English-speaking World; All of You Was Singing: A Retelling of An Aztec Myth, and The Way of Silence: Prose and Poetry of Basho. His essays on the imaginative and poetic life of childhood have appeared in journals such as Young Children, Elementary English, Childhood Education, Parabola and Orion, and were collected in his book Living By Wonder: The Imaginative Life of Childhood. His recent books include: Sea Tale, illustrated by Gigi Alvaré, Shaking the Grass for Dew: Poems by Richard Lewis; Each Sky Has Its Words, illustrated by Gigi Alvaré; The Bird of Imagining, illustrated by children from New York City public schools; CAVE: An Evocation of the Beginnings of Art, illustrated by Elizabeth Crawford; A Tree Lives, illustrated by Noah Baen – and In the Space of the Sky, illustrated by Debra Frasier. Forthcoming is From the Sleep of Waters, illustrated by Susan Joy Share – and Taking Flight, Standing Still: Teaching Toward Imaginative and Poetic Understanding – a gathering of essays and reflections which have appeared in Encounter, Teaching Artist Journal and Paths of Learning. A complete listing of his books can be found at Books by Richard Lewis (as PDF). He has given workshops throughout the United States and Canada, and has taught at the New School for Social Research, Fordham University, Bank Street College of Education, Rutgers University, Western Washington University, Queens College and the Lesley College Graduate School.